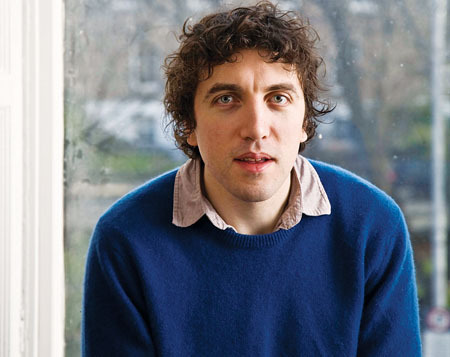 IT IS almost a decade since David Kitt released his debut album Small Moments in 2000 and he is fast approaching 10 years on the go - a milestone in anyone’s career. Yet the softly spoken songwriter does not see his musical journey as something made up of ‘stages’ to be commemorated by ‘anniversaries’. Music is a continuum. It has always been and will always be part of his life. “This is something I’ve been doing since I was 12,” Kittser (as he is affectionately known ) tells me during a Thursday afternoon phonecall. “I made five or six records before I released Small Moments. This is just something I have to do. I don’t spend too much time looking back. I’m more concerned with that happens now. Tomorrow sees the release of The Night Saver, the seventh album by the Dublin singer-songwriter. Next month he will undertake an Irish tour that will include the Róisín Dubh on Saturday April 4 at 9pm. While Kittser admits he is not one for “looking back”, The Night Saver is very much a return to the sound of early David Kitt, to the sound of Small Moments and The Big Romance. It is an album of gentle but captivating indie/folk melodies and guitar lines (‘Move It On’, ‘Beat A Retreat’ ), underpinned by electronic beats and rhythms (‘Nobody Leaves’ ). The Night Saver’s return to that earlier, electronically influenced and driven sound is very much at odds with Kittser’s previous two albums. Also key to The Night Saver is its striking sense of calm. This is in direct contrast to the emotional extremes of his previous two albums - the joyous and celebratory Square 1 (2003 ) and Not Fade Away (2006 ), a dark, emotionally raw record which explored the break-up of his marriage. What was Kittser’s emotional state as he approached the writing and recording of The Night Saver? While The Night Saver has much to recommend it and grows stronger with each listen, Not Fade Away will remain Kittser’s masterpiece. He acknowledges the album’s importance saying, “I only understand some of that record now”, but he views The Night Saver as being much truer to his own self. “I still feel very strongly about Not Fade Away,” he says, “but if I could only leave one record behind and I had to choose between Not Fade Away and The Night Saver, I would say The Night Saver as it gives a better idea of where my heart really lies. The Night Saver was recorded in Kittser’s studio at his home in Dublin. The studio lies at the top of a winding staircase overlooking Dublin’s Grand Canal. There, for the past two years, he spent 80 hours each week experimenting, writing, and recording. Again in contrast to Square 1 and Not Fade Away, t was recorded entirely by Kittser himself, with no collaborators or other musicians (bar backing vocals from Katie Kim on ‘Beat A Retreat’ ). The solitude and the sense of only having himself to answer to were liberating for Kittser. “Not Fade Away was a very dynamic record,” he says. “It was a big job in terms of putting it together. I recorded it in four different countries and worked with different people but I was at the helm the whole time. The Kitts are certainly a family that could be said to live in the public eye. David’s father is Tom Kitt, Fianna Fáil TD for Dublin South and a former Government Chief Whip while his uncle is Galway East Fianna Fáil TD and Minister of State for the Department of the Environment Micheál Kitt. David’s brother Thomas is also a singer-songwriter and last year he released his debut album Kitt Happens to positive reviews. Kittser has been through various ups and downs during his career so what advice did he have for his brother on a life in music? Easter improv laughs with Whose Line Is It Anyway?